Water Dynamics have been partnering with farms for over 30 years and we are proud to be synonymous with agricultural irrigation in Australia. 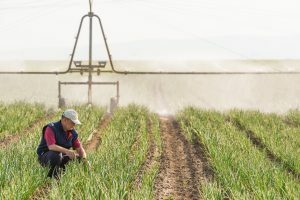 Whether a farm is looking to upgrade their farm’s existing irrigation system, invest in a new system or maintain their current one, more farms across Australia turn to Water Dynamics each year. 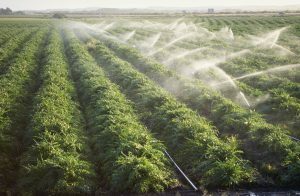 In 2014-2015 agricultural businesses in Australia used 9 million megalitres of water to irrigate 2.1 million hectares of crops and pastures. We understand the vital role irrigation plays in a farm’s operations. We appreciate water is one of a farm’s largest cost inputs, while also playing a vital role in ensuring a farm’s crops, pastures and livestock remain viable. We help you with every stage of your farm’s irrigation planning. From a detailed site audit to installing your irrigation system according to exacting standards, we also look after your irrigation maintenance needs into the future. 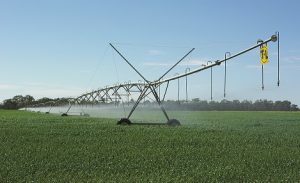 Water Dynamics is proud to be Australia’s number one distributor of the only hydraulically powered irrigation system in the market, T-L centre pivots and linear irrigators. We have sold, installed and serviced over 1,000 T-L irrigators across Australia for over 30 years. We look forward to continuing to work closely with the agricultural industry in Australia to assist them in remaining competitive in the global market. As part of our commitment to the Australian agricultural industry, we partner with some of Australia’s leading agricultural associations, including Ausveg, Northern Territory Cattleman’s Association and Fruit Growers Victoria. Call us today on 1800 571 812 to speak with one of our irrigation specialists and find out how we can help you with your farm’s irrigation.